Within the past year, Kendrick Lamar, Future, Teyana Taylor, and Rae Sremmurd have all fronted advertising campaigns for the Boston-based athletic brand. 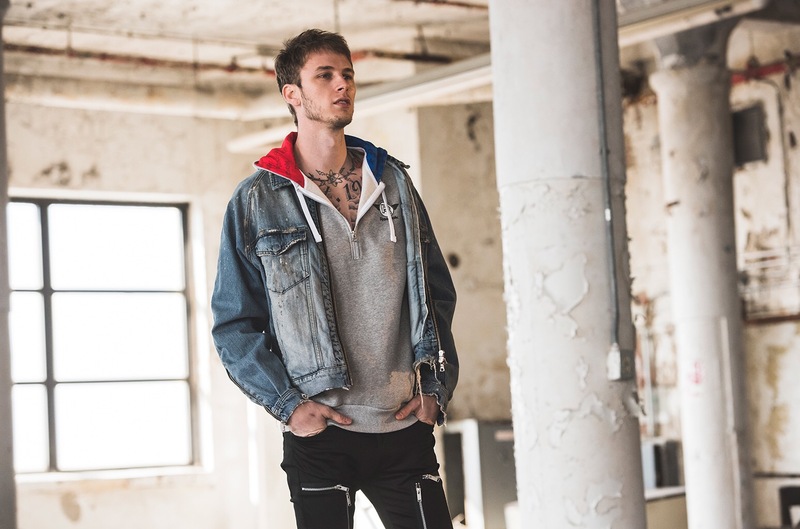 Known for his high-energy flow, colorful tattoos, and equally bold style, rapper Machine Gun Kelly has caught the attention of athletic wear giant Reebok, and Billboard Style can officially preview the Cleveland-bred MC’s debut fashion campaign. Snapped by Atiba Jefferson in an abandoned Chicago warehouse, the low-angle photography serves as a way to show off both the reimagined ’90s vintage elements of the all-white Club C kicks and as a homage to the city’s gritty underground raves and vivacious music scene. 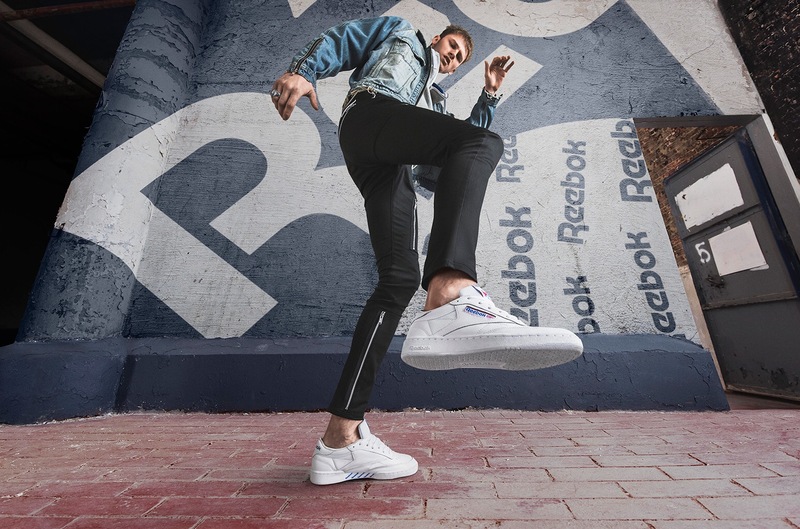 “The camera angle and creative direction allowed us to tell the ‘90s (inspired) story via the photography,” says Damion Presson, Director of Entertainment Marketing at Reebok. 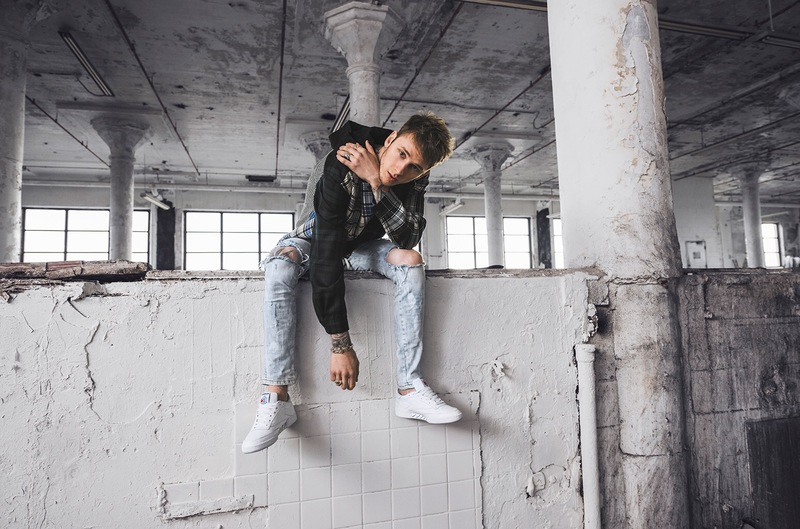 The series of campaign and behind-the-scenes imagery features the 6’4″ rapper sporting a light wash denim jacket worn over a light gray cotton hoodie ($28) paired with the Reebok kicks ($89.99). Kelly’s edgy, rock-inspired fashion sensibility has helped him stand out style-wise in the hip-hop game and is one of the reasons why the 26-year-old MC seamlessly integrates into the brand’s roster of talent (which currently includes Future and Rae Sremmurd). Since its debut as a tennis shoe in 1985, the Club C sneaker found crossover appeal in the ’90s and most recently, the modern 2017 update is now available in six color options; white and gray, black and white, meteor gray, primal red, hunter green and an all over white print. 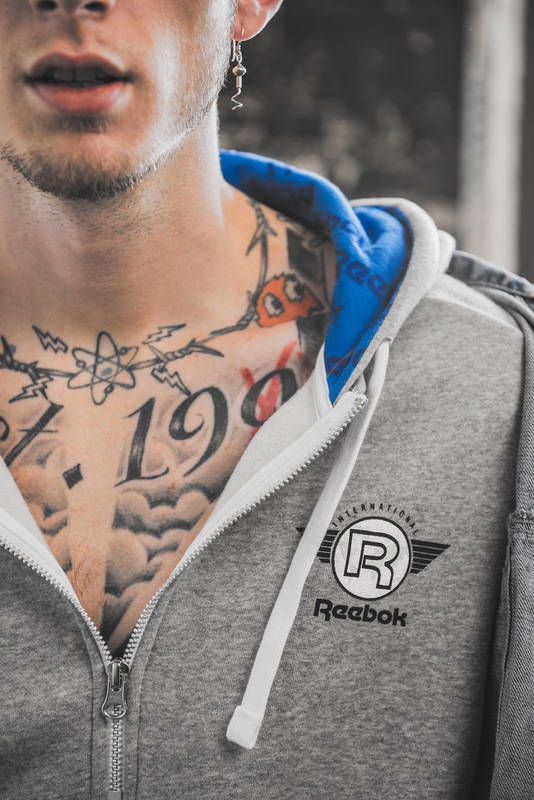 The Club C collection is available on Reebok.com and at select retailers. Check out more exclusive campaign images below.